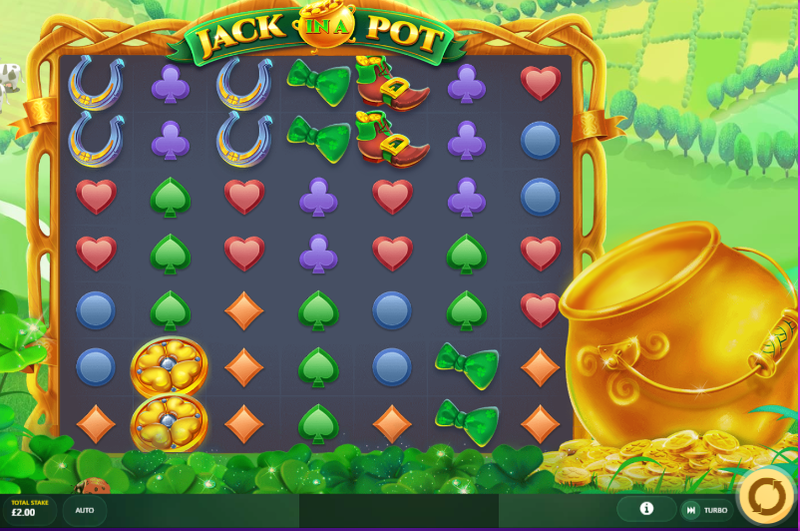 Jack in a Pot is a new online slot game developed by Red Tiger. The theme of the game takes its inspiration from the Irish legend of the leprechaun, a supernatural being who likes to get up to mischief and keeps a pot of gold at the end of the rainbow. As you might expect from a game which is borrowing heavily from Irish culture, emerald green is the main colour used in the graphics, along with gold and the red shades of the leprechaun’s hair. The game uses a seven by seven reel set-up, with a return to play percentage of 96.06 percent. Gemstones are used as the game’s lower value symbols, with higher value symbols including a shamrock-covered bow tie, a horse shoe and a shoemaker’s boot full of coins. A gold coin is the best-paying symbol. If you manage to land a cluster of 40 or more matching coins, you’ll be gifted with an 80x stake award. There are also plenty of extra features for you to enjoy in this slots online game. The Rainbow Swaps feature kicks in when a rainbow wild symbol is part of a winning combination on the reels. This rearranges the symbols to create a better winning combination for you. The Beer Reels feature turns on the beer taps when the beer wild appears as part of a winning combination. 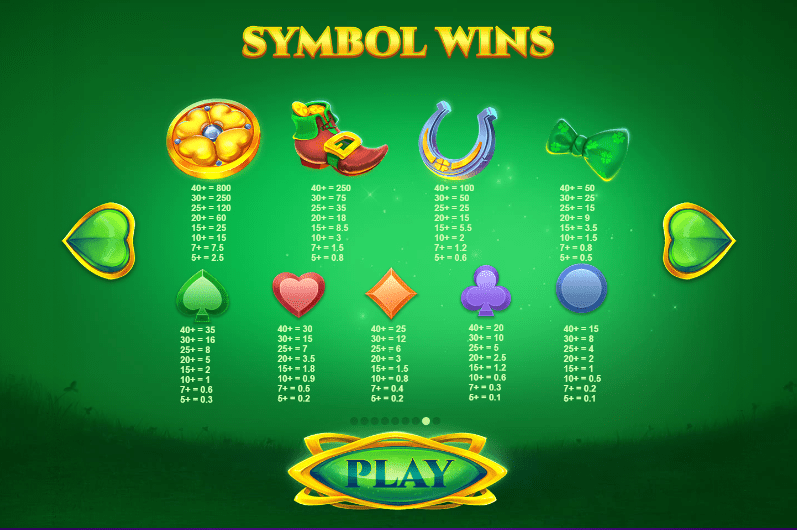 These taps pour new symbols onto the reels and boost your win. The Magic Pipe and Hat Trick features offer more boosts. Hat Trick is triggered by the hat wild appearing on the reels. It removes lower value symbols and replaces them with higher value ones. The appearance of the pipe wild sees Jack play a tune which turns high paying symbols into mega tiles. Follow the link to learn more. Red Tiger is a UK casino online games developer that has its main office in the Isle of Man. Founded in 2014 by a group of European and Asian games developers, all their games are developed using the HTML5 framework, allowing them to be played on devices of any size. It also means that HD graphics can be used in the games, as well as astounding sound quality. Offering an immersive experience, Red Tiger games also have innovative features like daily jackpots and ceiling jackpots. The company’s red tiger’s head logo can be seen alongside many games titles in many an online casino, and will be recognisable to keen slots gamers across the world. Jack in a Pot is part of a long tradition in free betting games online that makes use of the leprechaun as a symbol. It is a fun and entertaining game, though is perhaps not as innovative or exciting as some of the others in the Red Tiger range. It still offers plenty to players in terms of value, though, with its wilds triggering some really impressive bonus features. Anyone who enjoys fruit machines will find plenty of fun in this game.